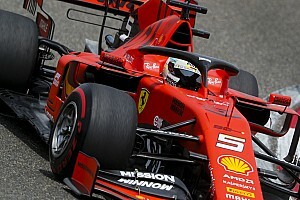 Belgian Grand Prix expert Kimi Raikkonen topped the second free practice of a Grand Prix weekend for the first time since Canada as this weekend's favourites Ferrari fired warning shots to their rivals with their short and long-run times. In what looks like a straight fight between Ferrari and Mercedes this weekend, Raikkonen - who last won for Ferrari at the 2009 Belgian Grand Prix - set a time of 1:43.355 in the qualifying simulations to take FP2 honours by just less than two tenths of a second from Mercedes' Lewis Hamilton, on the longest circuit of the season. On the sectors most reliant on a strong power unit - sectors one and three - Raikkonen set the faster times, whilst Hamilton edged ahead in the tighter sector two. Valtteri Bottas was half-a-second off the pace, but Mercedes may opt to give him a setup focused more towards the race. Following the introduction of new power units for all Mercedes-powered teams, the Finn's car has been equipped with a new internal combustion engine, turbocharger, MGU-H, MGU-K, control electronics and energy store, giving him an automatic back-of-the-grid penalty. 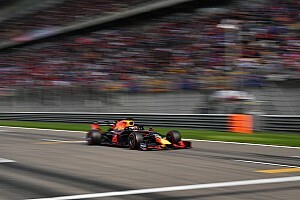 The Red Bull of Max Verstappen was a couple of tenths further back in fourth, although curiously the Red Bull drivers set the fastest times in the third sector. An error from team-mate Sebastian Vettel - who topped FP1 earlier in the day - meant the championship contender settled for fifth in the afternoon session. As anticipated, the supersoft tyres appear to only be good for one lap in qualifying, as proved by Vettel who, after making a mistake at turn fourteen on his first flying lap, was several tenths slower than Raikkonen on his second timed lap, finishing the day just ahead of Ricciardo's Red Bull. Ricciardo's first free practice session was almost a complete write-off. An engine problem kept him in the garage for the vast majority of the session, as he managed only one flying lap in the dying moments of FP1. The reduced durability of the fastest available tyre may encourage the top three teams to try and qualify on the harder compounds, should the threat of rain not materialise. Some drivers were reluctant to spend many laps on the supersoft tyre, opting instead to get a feel for the soft and medium-compound tyres on higher fuel loads. In this scenario, Ferrari's Vettel looked impressive on the mediums; he managed to set average times better than Hamilton's Mercedes (which also ran with medium tyres for a while) and similar lap times to Bottas' Mercedes (which predominantly ran the soft tyre). The recently-renamed Racing Point Force India belonging to Sergio Perez finished an impressive seventh, several tenths ahead of any other midfield rivals. Renault's Carlos Sainz was eighth fastest, whilst an impressive showing from Sauber put Marcus Ericsson in ninth and Charles Leclerc in tenth. Eleventh-placed Nico Hulkenberg (Renault) suffered the same power unit-related fate as Bottas and will start on the back row of the grid. Formula Two driver Lando Norris occupied Alonso's car for the opening free practice session, but any direct comparisons against under-fire Stoffel Vandoorne would've been taken with a pinch of salt due to the Belgian being unable to participate for much of the session due to braking issues. The Silverstone-based team confirmed ahead of the Belgian Grand Prix that they had been bought out by 'Racing Point UK Limited' and, for at least the rest of the season, they will compete as the Racing Point Force India F1 Team. In the weeks running up to this weekend's event, the FIA have been assessing the legal situation regarding the team's takeover and finally approved the new entry on Thursday. Due to the legal issues surrounding the previous owners, Racing Point were unable to complete the process as a share sale. Instead, the assets were sold, meaning Racing Point had all the equipment to go racing, but not the official entry. Therefore, the new owners had to complete a late entry application, which involves a fee. The old Force India team have been excluded from the championship, and have been officially replaced by the new team, Racing Point Force India F1 Team. As the team is a new entrant, they must start from zero points. Sergio Perez and Esteban Ocon keep their points, as they are permitted to score points with more than one team. Same livery, but the team names were removed from the Racing Point Force India trucks. Whilst Racing Point Force India is a new entry, they haven't been able to remove the 'Force India' part of the team name, due to regulations. 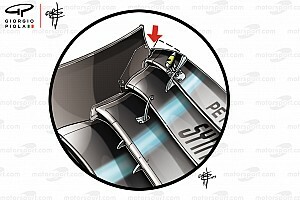 Firstly, the name of the chassis is not allowed to change during a season. In this instance, their chassis is called the Force India VJM11. Secondly, the team name must contain the name of the chassis, meaning the 'Force India' part of the name is fixed until the end of the season. They will be able to change their team name again for 2019. From a financial point of view, the team have been given permission by the remaining teams to keep the prize money accrued by Force India in recent years. Championship-wise, they give up sixth place in the constructors' standings. They were competing for fourth but, considering the pace of Renault and Haas, the team would've faced a tough task in finishing higher than sixth anyway. Given that there are nine races of the season remaining, the team still have the chance to make up places, with McLaren now occupying sixth place (52 points) and Toro Rosso in seventh (28 points). 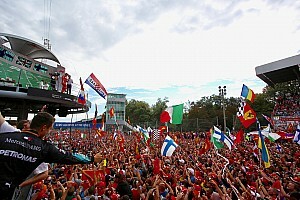 Who do you think is the favourite for the Belgian Grand Prix? Leave your thoughts in the comments section below.